Last Saturday, September 25, was King County’s Harvest Celebration. 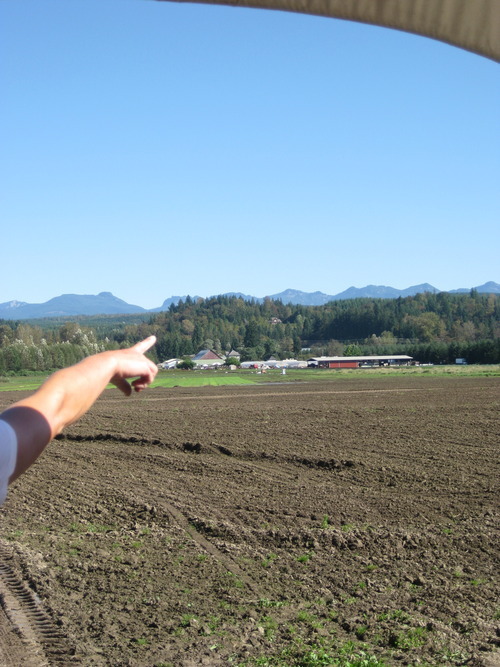 This meant anyone could drive through the beautiful Snoqualmie Valley, just east of Seattle, and visit up to 9 different farms! Beautiful day! Beautiful river! 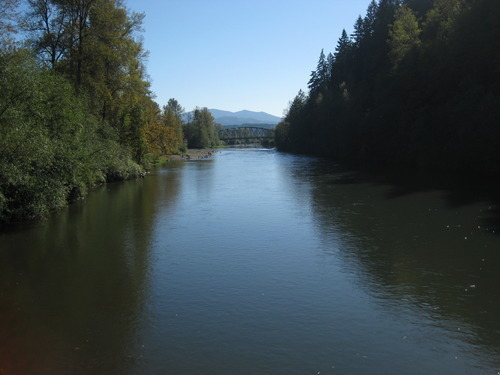 Beautiful Snoqualmie Valley! We headed first to Full Circle Farm. 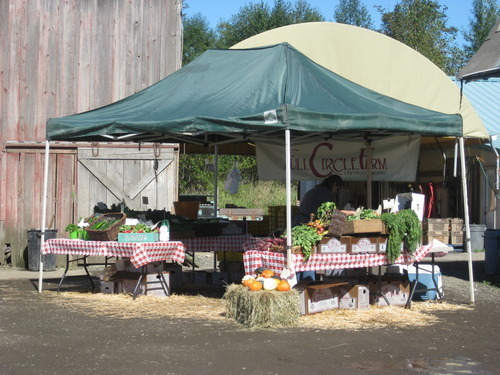 We’ve gotten some great produce from Full Circle at our Seattle farmers markets, and were excited to check out the farm! 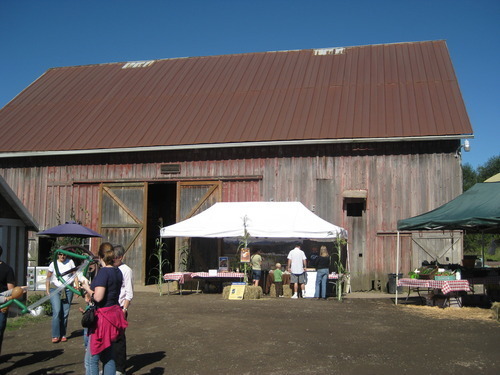 There were tons of families there, enjoying the great weather and the beautiful farm. You could look around the 100 year old barn, learn more about Full Circle Farm’s subscription farm-to-you boxes, chat with the folks from the PCC Farmland Trust to learn about saving farmland, get a balloon animal, and try some delicious carrot bisque or beet salad made by Ericka Burke of Volunteer Park Cafe, made with Full Circle veggies! We took a tractor pulled wagon ride around the farm, learning more about what was growing now (kale! radicchio!) 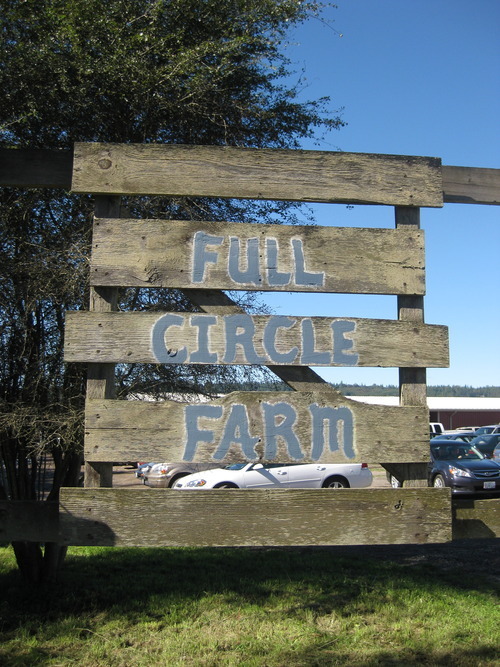 and about the history of Full Circle Farm -it has great dirt! Great dirt makes great veggies. It’s also all organic, and has the largest CSA in the nation! Look! Vegetables! Mountains! Good dirt! 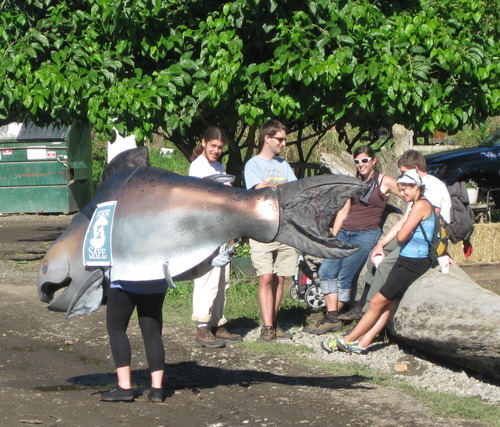 Everyone was so nice, and it was great to have an opportunity to see where our food comes from! The farm is lovely, and seeing it in person gives greater insight into seasonality, local food, and what it takes to be a successful organic farm. Thanks, Full Circle Farm! 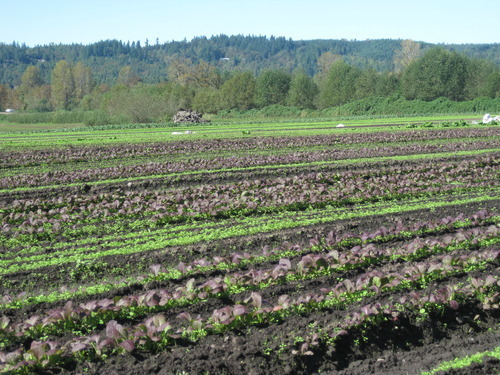 This entry was posted in On the Farm and tagged farm fresh, farm visit, full circle farm, Lisa Wheeler, seattle, snoqualmie valley, vegetables, washington. Bookmark the permalink.